Solid State UK are a friendly and reliable company, that have been offering a range of chair cover hire throughout Coventry for many years. As a family run business we offer a first class service, always putting our customers needs first. We even offer a free consultation service, where we come to your chosen venue to discuss your requirements, theme and colours further. If you are looking for chair cover hire for a wedding, special occasion or corporate event then look no further! 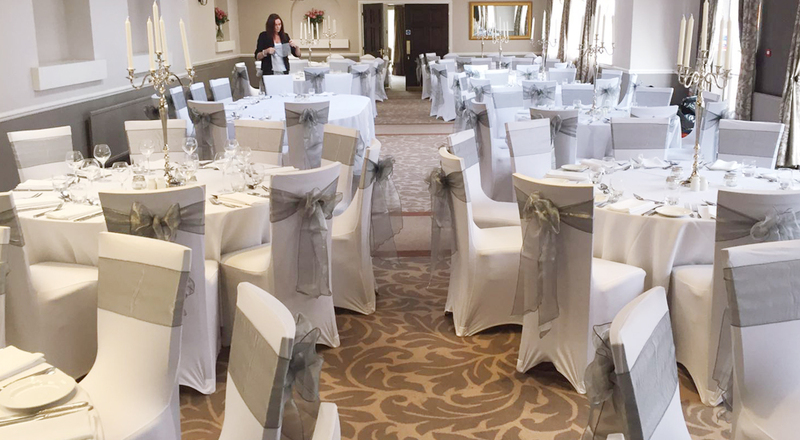 Solid State UK, have available chair covers that you can hire for as long as you need, they even come complete with a coloured sash ribbon, to co-ordinate with your colour scheme. When it comes to your special day, we understand that everything should be in perfect condition and organised as efficiently as possible. With this in mind, we provide wedding chair covers throughout Coventry, especially for your big day. 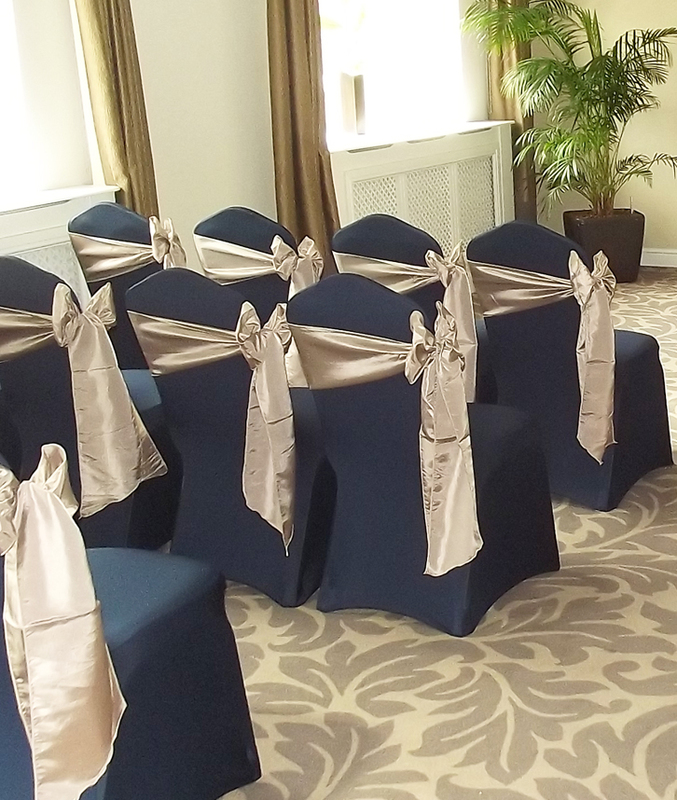 We will come to your chosen venue, set up your chairs and attach your chosen coloured sashes. 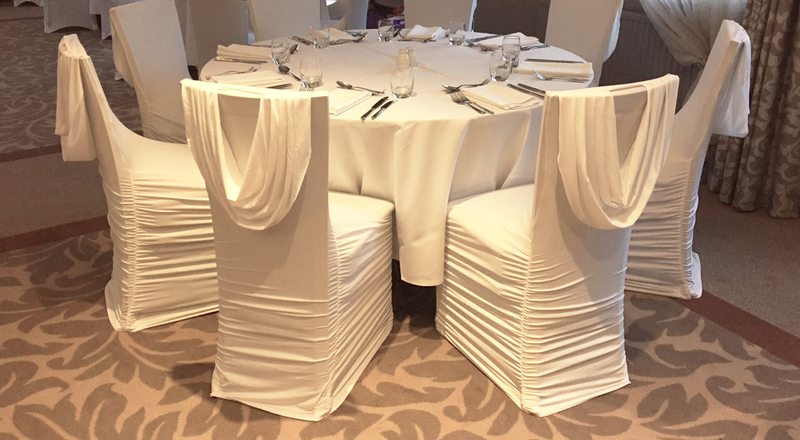 Over recent years, we have built up a solid reputation for Wedding Chair Covers throughout Coventry. As a family run business we take pride in our work, meeting customers deadlines and requirements to not only our customers high standards but our own as well. For further help or to request a free consultation, please contact us today, where we will be happy to help you further!